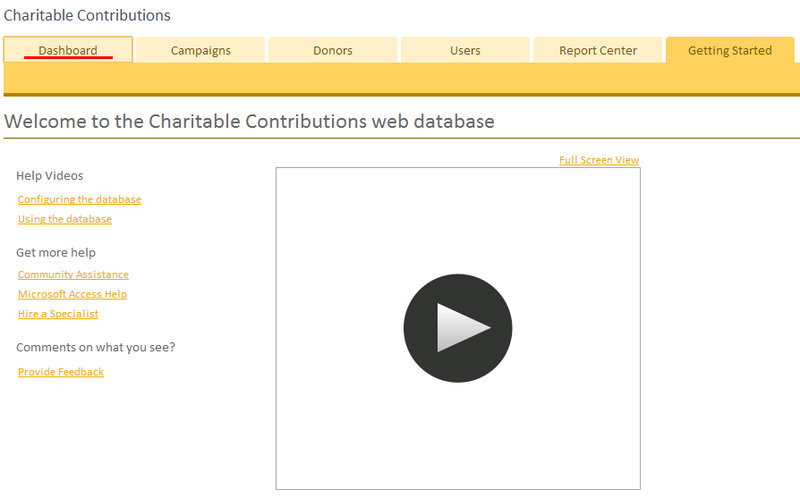 Charitable Contributions Web is a site where we can create database to track information about fund raising campaigns including donations made by contributors, campaign related events and pending tasks. 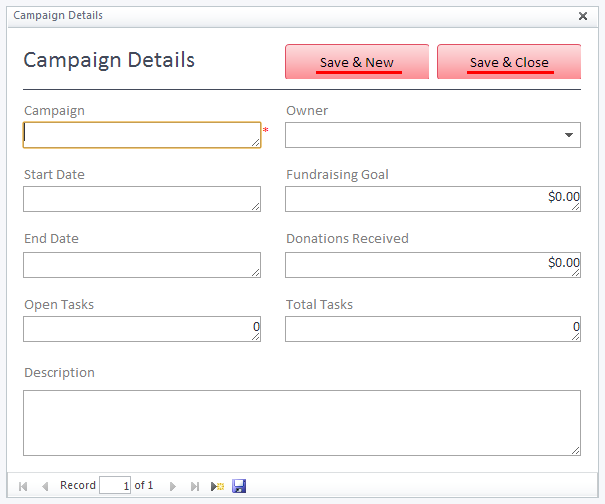 We can track maintain and organize the events, campaigns, donations, tasks etc. 3. 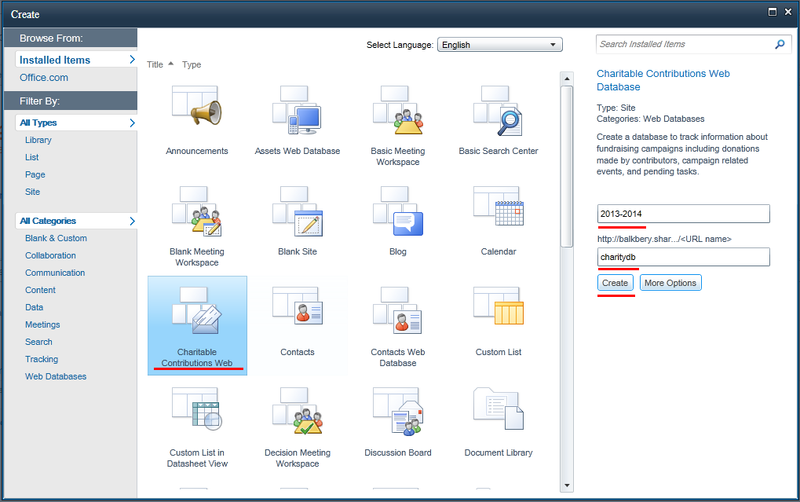 Select Charitable Contributions Web, click on create after providing name and url. 4. When the Charitable Contributions Web is created it opens Home page. Click on Dashboard to see upcoming events and tasks. 5. Click on Campaign to start a new campaigns, events, donations and tasks. 6. Click on new to create new Campaign from Campaigns. 7. After providing all details click on Save and New to Save the current data or Save and Close to Close the current window. 8. Click on Events to open the Event records. 9. 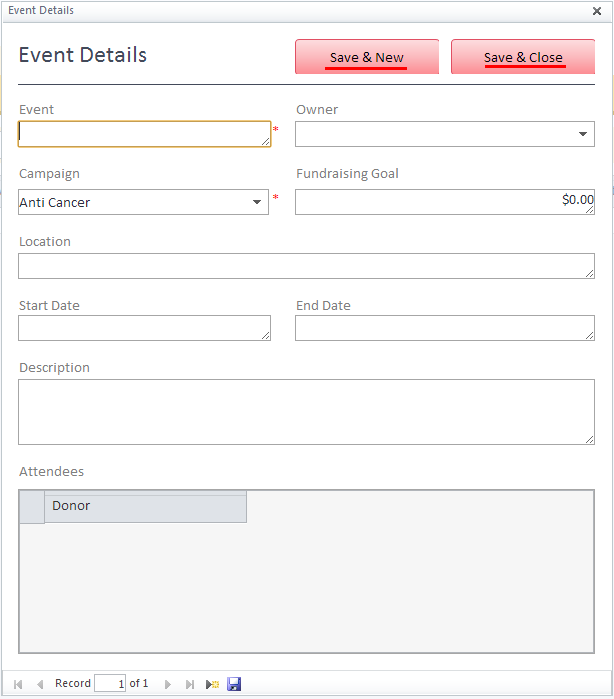 Select a Campaign and then create new Event to it by clicking on New Event. 10. 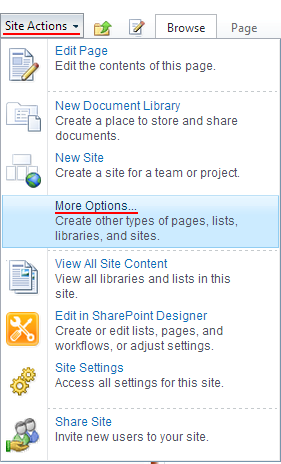 After providing details click on Save and Close to save and close the current window or click Save and New to Save records. 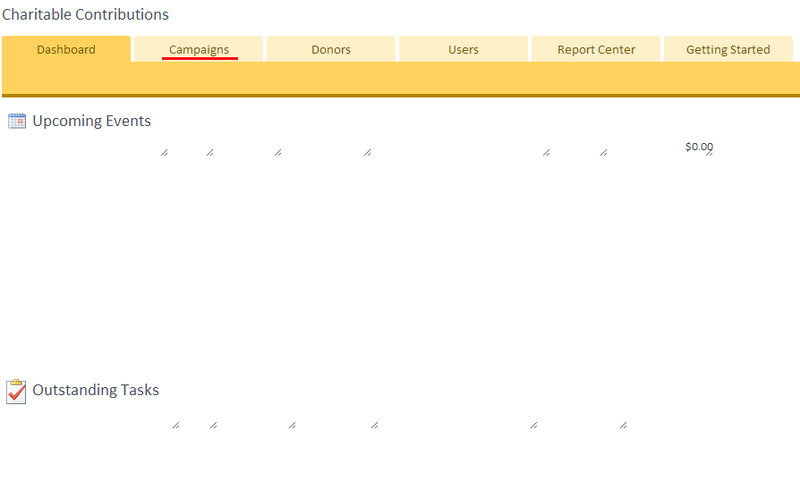 In the next article we’ll see how to work with Donations, Tasks, Donors, Users and Reports.